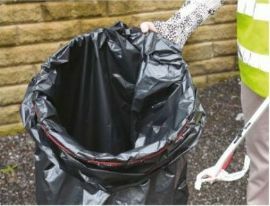 A sturdy hoop to hold a refuse sack securely open, making litter picking faster and easier. Soft, ergonomically designed hand grip for comfortable use. Ideal to use with litter pickers indoors or outdoors.